Heron Crest Showplace! 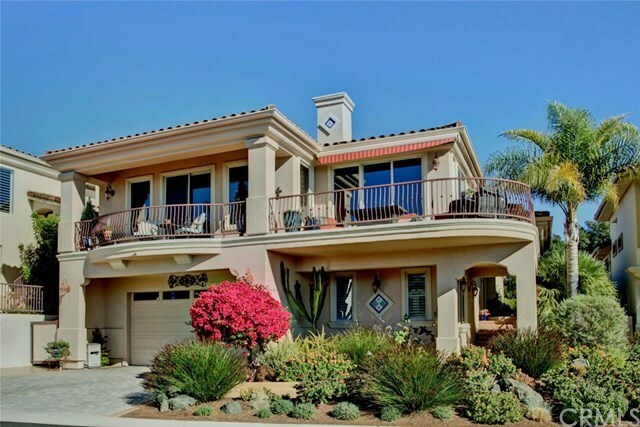 This extensively renovated 2,600 square foot, 4 bedroom, custom built residence features panoramic ocean views from its great room, kitchen and adjacent wrap-around upper level deck. This property has been meticulously reimagined with top quality, designer inspired materials, amenities and finishes throughout. The living room, dining room and kitchen are surrounded by walls of expansive windows creating a light and airy sourhwest facing environment. The wide plank Maple flooring throughout this level sets the palette for this luxurious perch. The professionally designed kitchen is a cook's delight and the premium appliances including double convection wall ovens, a combination 4 burner & gas griddle range top and 35 linear feet of leathered granite counter surface make food prep a pleasure. Custom cabinet storage is abundant including a 52 bottle wine cooler. Cleanup is a breeze with the durable Silgranit double sink and 2 drawer Fisher Paykal dishwasher. Rustic finish stone floors set the tone for the lower floor where an entry foyer, den, laundry room, 2 bedrooms and the gracious master suite encircle a large central gallery. The master bath suite features a Kohler soaking tub, furniture style vanity with double porcelain sinks and walk in shower. The spacious professionally landscaped garden/patio area at the rear is perfect for entertaining or simply lounging and watching the abundant wildlife. Call your REALTOR now for an appointment. Directions: From the entry gate: Left on Lupine Canyon to the top of the hill, then right on Playa Vista - 3rd home on right.